Just days after the first Android O preview build was released, the development community had already started bringing some of the exclusive features over to older Android versions. For instance, the Pixel Launcher received an update in Android O, and developer linuxct quickly ported the new version to work on devices running Marshmallow or higher, and even managed to do so without requiring root. First spotted by the XDA Portal, not much has changed in this new version of the Pixel Launcher. The biggest difference you'd notice is that you can now open the app drawer by swiping up from anywhere, as opposed to having to start your swipe from the dock at the bottom of the screen. 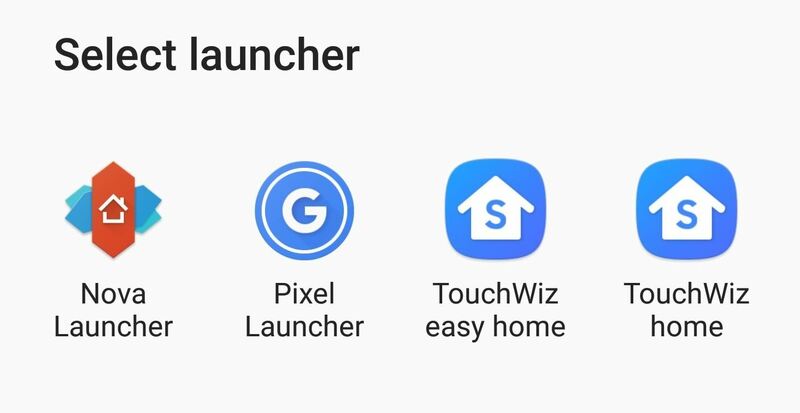 So if you want to update your existing Pixel Launcher installation, or even if you'd just like to try it for the first time, we've got you covered. Update (May 23, 2017): linuxct has updated this mod by porting the Pixel Launcher from the first public beta version of Android O. The basic features are all the same, but it's a slightly newer version and several bugs have been squashed, so we've linked to the new mod below. First up, if you have an older version of the ported Pixel Launcher installed on your device, you'll need to uninstall it before you do anything else. 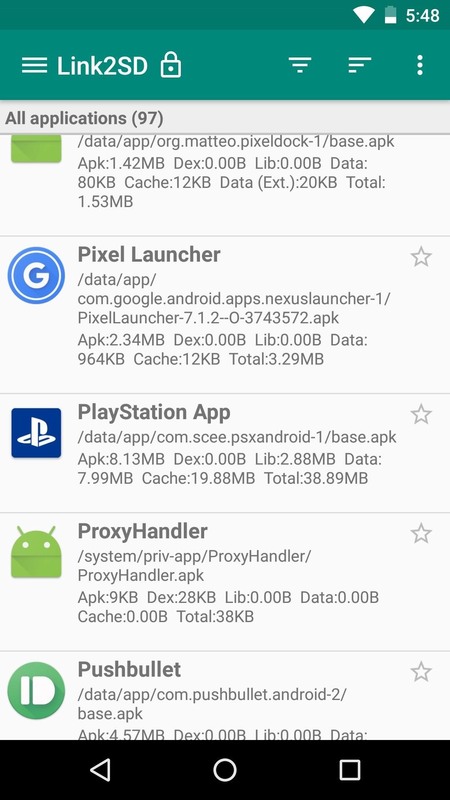 As a heads up, this also includes the early leaked version, which was called "Nexus Launcher," so search through your installed apps for both names and make sure they get removed. With that out of the way, go ahead and download the APK, which, again, should work on almost any device as long as it's running Android Marshmallow or higher. From there, just enable "Unknown sources" in Settings, then launch the APK and press "Install" when prompted. After that's done, tap your home button, then choose Pixel Launcher from the list. If you're not rooted, that's all there is to it. Installing the Pixel Launcher without root access will give you most of the features, but note that the integrated Google page on the home screen will not be available. If you are rooted, however, you can get the integrated Google page by converting the Pixel Launcher into a system app. 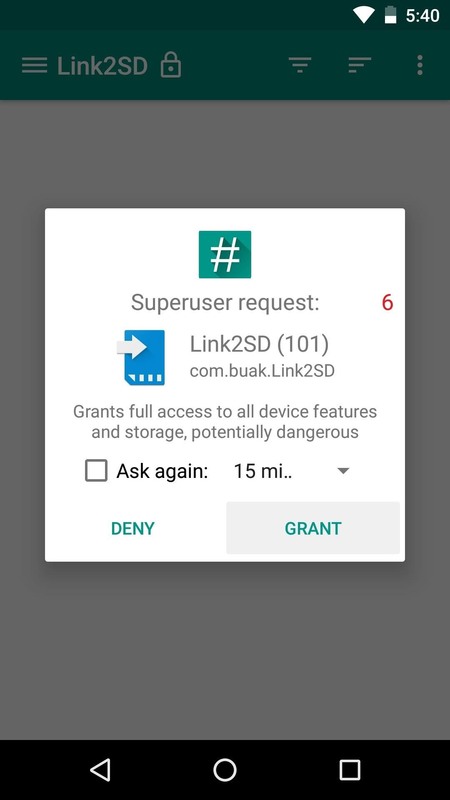 To do that, install an app called Link2SD, then open it up and grant root access. 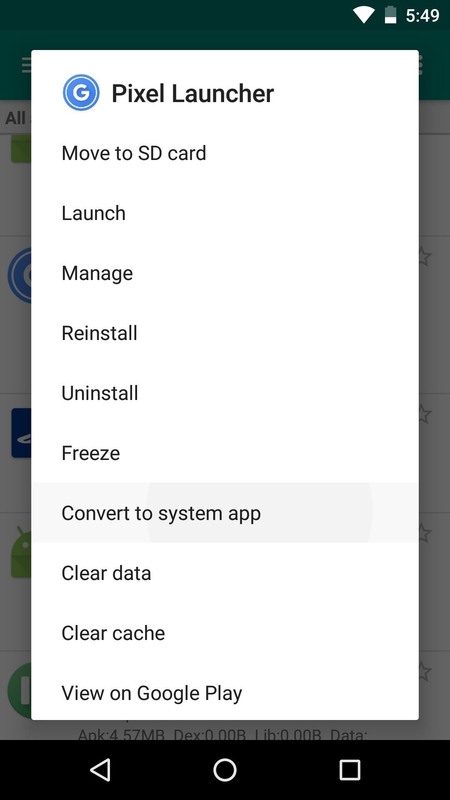 From there, long press the Pixel Launcher entry in the list, then choose "Convert to System App," and reboot when prompted. It should be noted that, while most users report that the app runs without errors, the Pixel Launcher may crash the first few times you use it, depending on your phone. If this happens, I've noticed that a quick reboot seems to clear up the problem, so it shouldn't be a long-term issue. Regardless of how you installed it, Pixel Launcher is a sleek-looking home screen app with several unique features—most notably, an app drawer that's tucked away neatly behind the aforementioned swipe gesture, which means there's one less icon in your dock. If you'd like to learn more about the features in Pixel Launcher, check out our full guide at the following link. Not working on my OnePlus 3, rooted, Android 7.1. I have the previous version and installed over it but there's an error saying "App not installed".